After the Garissa attack, international media including BBC have been covering the story and following up more than the local media. BBC in particular has been tweeting almost hourly for the past six days about the terrorists and the government's involvement in handling the issue. Two days ago, when Kenyans gathered at the Uhuru park to remember the victims, BBC was also following up on it and they posted a rather disturbing message to the president on their Facebook wall. Its not bad to talk bad about the president, but not at a time when the country is facing the pressure of the terrorist attacks. Am sure he had a lot on his mind and was probably engaged in other important matters to make sure that didn't happen again. Here is the Facebook Post. 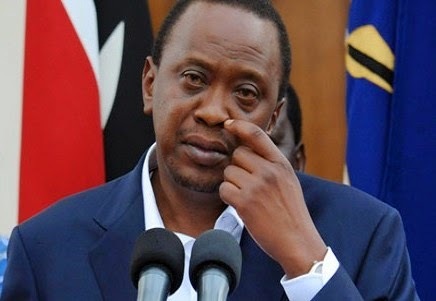 "Some people in Kenya are wondering where the mourner in chief President Uhuru Kenyatta is? Following the attack on Garissa University College in which nearly 150 people died he hasn't visited Garissa, the disaster operation centre in Nairobi nor did he attend the vigil in Uhuru Park #‎147isnotanumber" Read one of their posts on facebook.